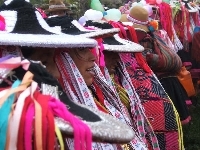 Kusisqa Waqashayku - "From Grief and Joy We Sing"
This independent production (53 minutes), with viewing choice in three languages (English, Spanish and Quechua), was filmed and edited entirely in Q'eros and Cusco, Peru. The DVD includes a booklet with supplementary information in Spanish and English. This video seeks to document Q'eros' musical rituals for the Q'eros community, to educate a larger audience (Peru and beyond) about Andean musical rituals, and ultimately to promote respect for indigenous cultures. 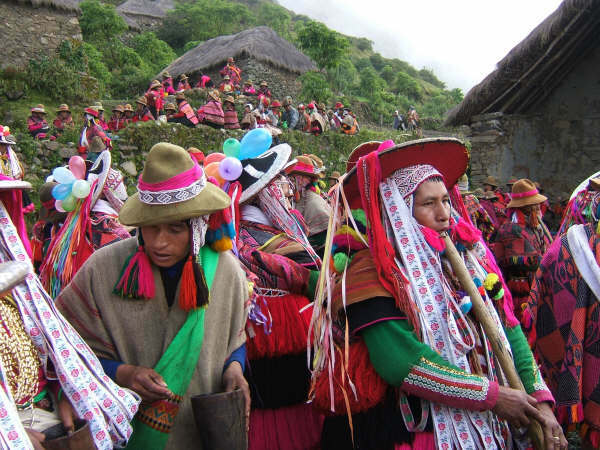 The Quechua community of Q'eros in the Andes of southeast Peru is renowned for its traditional music, weaving, and spiritual rituals, customs that many other Andean communities no longer practice. The Q'eros' songs, with roots in pre-Hispanic Peru, serve many purposes: to release personal emotion, to propitiate the Apu (mountain deities) and Pacha Mama (Mother Earth) for animal fertility, and to celebrate during Carnival. We come to know how the Q'eros use their ritual music to express grief, through the experience of Victor and Juana Flores Salas, brother and sister who were both widowed at a tragically young age. We learn about Q'eros' history from Agust�n Machacca Flores and Juliana Apasa Flores of the older generation, who sing a body of songs that are no longer sung, yet ones 'remembered' by them. We learn about the annual cycle of Q'eros traditional musical rituals throughout the documentary and see the process and challenges of an indigenous people adapting to urban society. 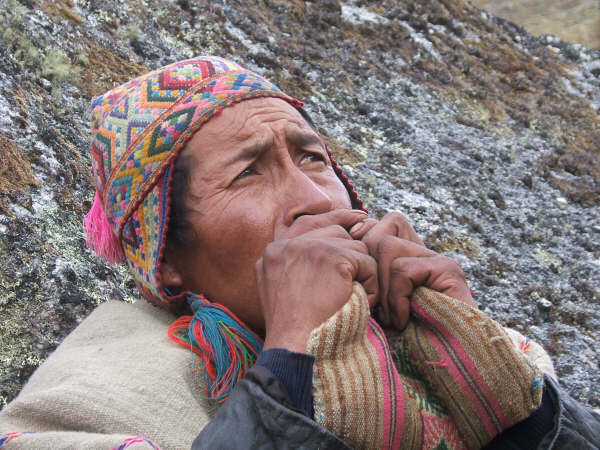 The original seed idea for this production came from Agustin Machacca Flores, primary informant and participant in this documentary, who was inspired after watching John Cohen's film The Shape of Survival (1979). 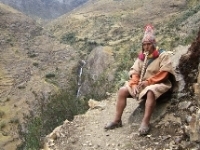 Cohen's documentary begins with Bernavil Machacca, Agustin's deceased uncle, telling the Q'eros' origin myth of Inkari. Seeing his deceased ancestor and learning about the past traditions of his people, Agustin was riveted. He requested that a new documentary be made for future generations. 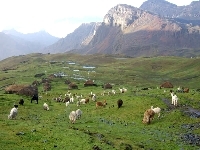 The forty hours of original field footage are housed in the audiovisual archives of the Instituto de Etnomusicologia de la Pontificia Universidad Catolica del Peru. Often, Q'eros were involved in editing decisions. 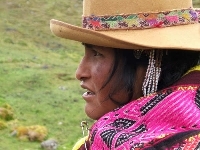 This documentary will also be used in Peru's bilingual education program. 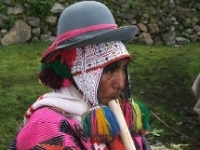 This program is dedicated to the support of Quechua culture and language, which have been historically marginalized. 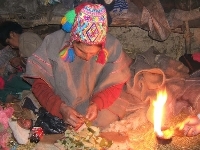 "One cannot overstate just how important it is that modern media of this professional level should be produced in Quechua. 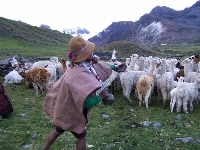 For despite being the greatest surviving native language of the whole New World, our most direct, living and human link with the captivating Andean past, Quechua is in real danger of ultimate extinction, perhaps within a century. 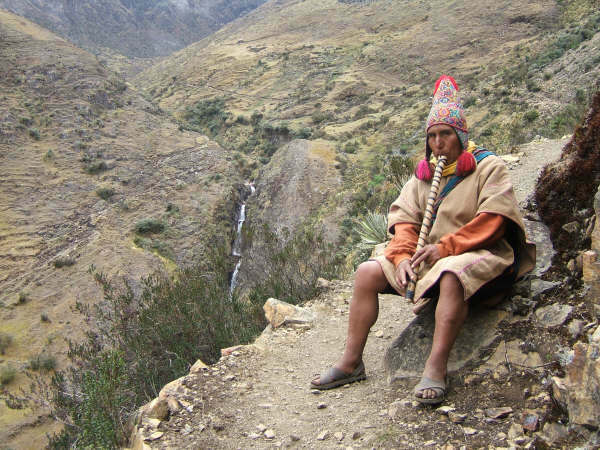 The critical issue is the Andean people's own perceptions of their language, and whether they can see and hear Quechua 'elevated' to more formal, official contexts and uses. Its long-term fate will no doubt be decided over the next crucial decade or two, so this DVD appears at a decisive time in Quechua's fight for survival." All post-production funds came from individual donors, with funds and DVD purchases facilitated by The Mountain Fund, a non-profit organization based in Albuquerque, New Mexico. All DVD purchases are tax-deductible donations that go directly to the Q'eros for community work projects.